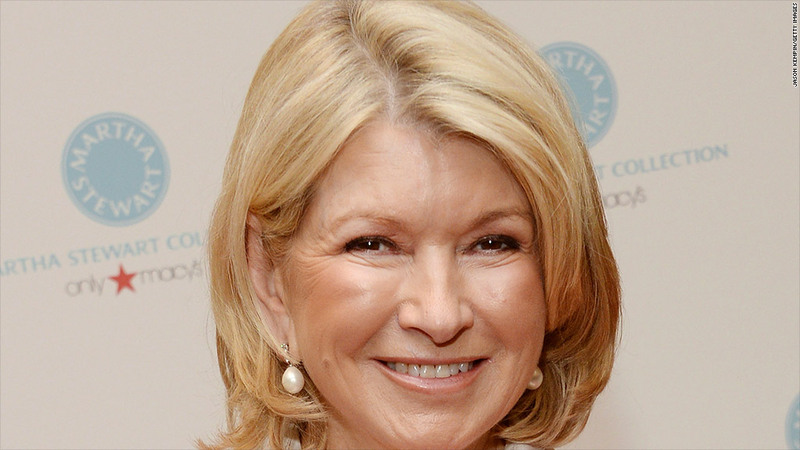 Martha Stewart and Macy's have settled their legal dispute. Macy's and Martha Stewart Living Omnimedia have resolved their legal battle over Stewart's move to sell products at rival J.C. Penney, the companies announced on Thursday. Macy's (M) said the settlement does not end its separate legal claim against J.C. Penney (JCP). Shares of all three companies were slightly lower in early Thursday trading, but by market close, Martha Stewart climbed 8%. The two retailers ended down. Martha Stewart Living Omnimedia (MSO) has been selling Martha Stewart-branded products at Macy's since 2006. In December 2011 it reached a deal with J.C. Penney to start selling some of its products there as well, in return for Penney paying $38.5 million for a 16.6% stake in MSLO. The court battle ensued, even though the products being sold in JC Penney did not include the Martha Stewart name. They were instead branded "JC Penney Everyday" products, a reference to the Martha Stewart Everyday line of products. In October, J.C. Penney announced it had scaled back its partnership with Martha Stewart in the face of legal pressure from rival Macy's. Penney's is now only selling window treatments and hardware, lighting, rugs and holiday products. Penney's also sold its stake in MSLO. At that time Macy's issued a statement saying the pull back was a "tacit admission" that the previous agreement to have Penney sell Martha Stewart bed, bath, and kitchen goods was illegal.